Wristbands are bright and colorful and designed to be noticed. 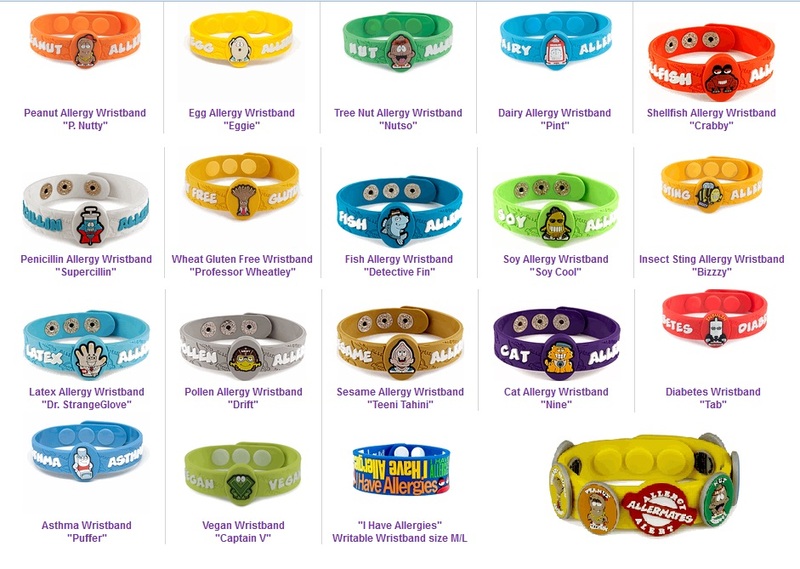 Perfect for reminding others of your child's allergy or other health concern. These high quality bands come with three adjustable snaps (S=5 3/4", M=6 1/4", L=6 3/4") and measure 7 inches in length. Bands should fit most kids from the age of 2 and up. BPA, phthalates, lead, nickel and latex-free.